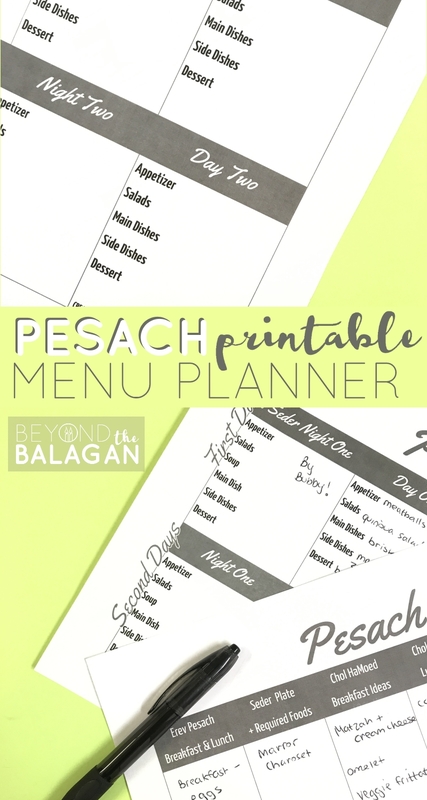 Among all the other lists you’re sure to be making for Pesach, a Pesach menu planner is one of the more important ones. 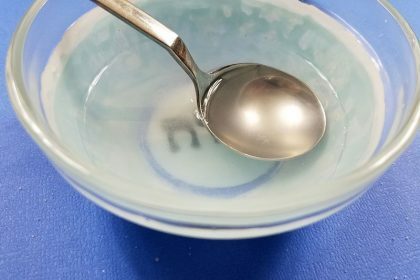 Some other good lists to make in preparation for Pesach include Menucha’s cleaning checklist, or a comprehensive shopping list. Disclosure: this post contains commissioned links. Making lists (and utilizing them!) are essential to me, and I’m sure to many of you. 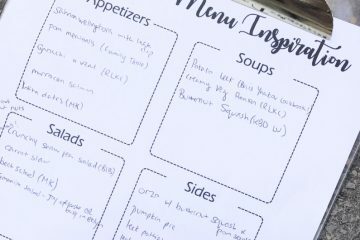 A menu plan is a great tool visualize exactly what you need to cook and what you need to serve. 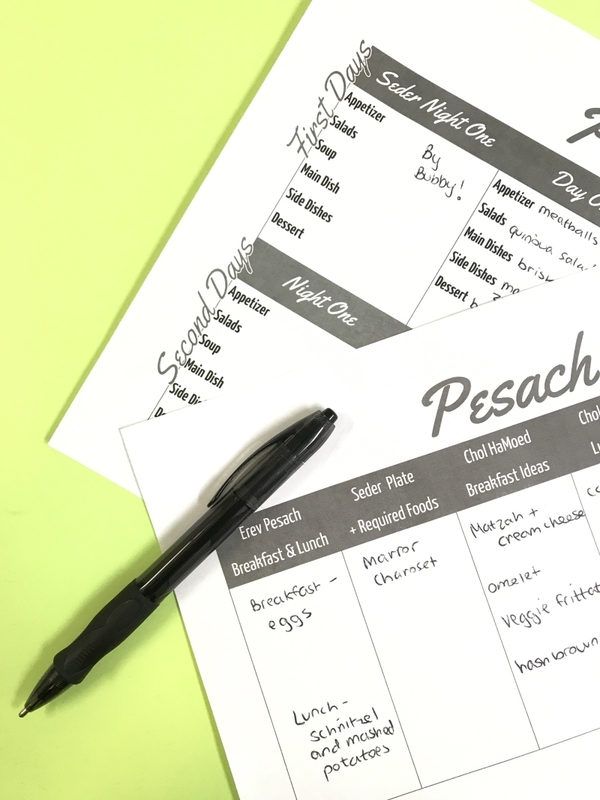 A Pesach menu planner is even more important. 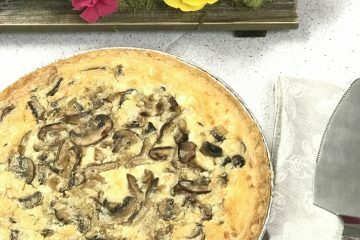 As I mentioned in my Guide to Making Pesach for the First Time, a great way to know every ingredient you will need, and every utensil and pot needed to cook said menu, is to create a menu plan. Next to every item you plan to make, mark down the type of utensils needed so you know what you’ll need to have on hand. 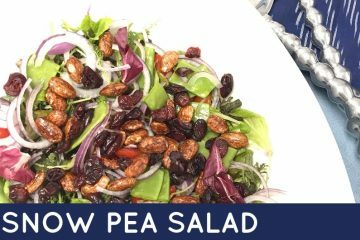 If you’ve already made Pesach before, then creating a menu plan will help make up your grocery list. 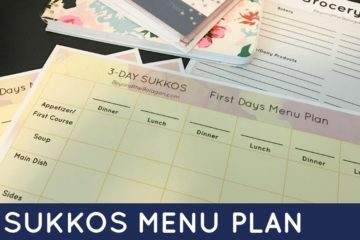 First, fill in the Pesach menu planner. 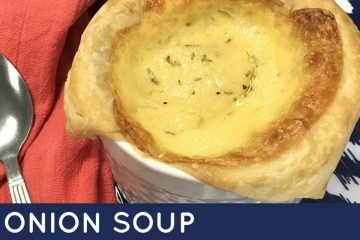 Then, go through every single dish and mark down exactly what ingredients you will need. Make sure to include every spice and seasoning needed. 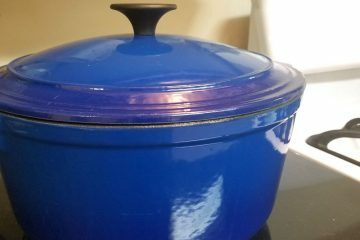 I use a lot of Pesach cookbooks, more so than recipes I find online, so next to each item on my list, I mark down the initials of the cookbook the recipe is in, and the page number, so I can easily reference when need be. 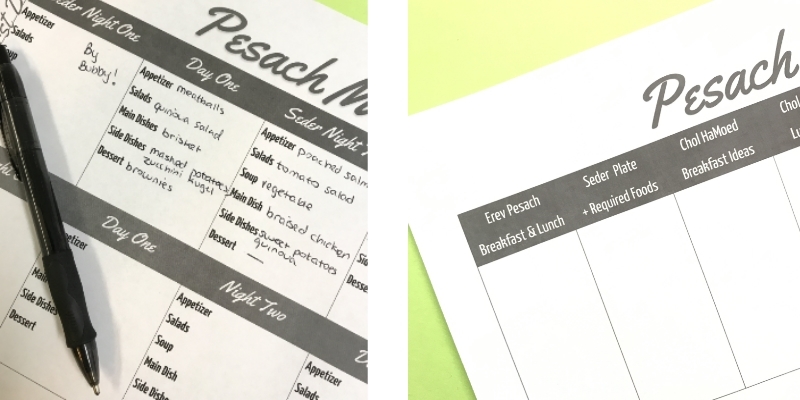 The Pesach menu planner I’ve designed is very simple to use, and it has two pages. 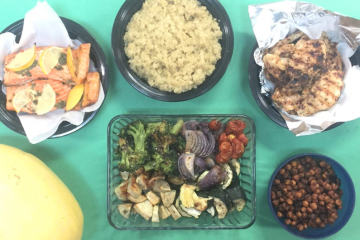 The first page is divided into eight sections, for both first days and second days, with four meals for each. 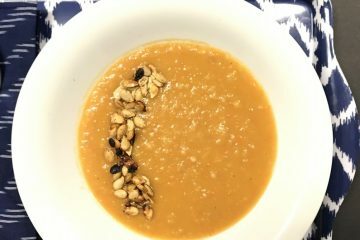 The second page is all the other meals you’ll be eating, including lunch Erev Yom Tov, Chol HaMoed breakfast, and what you will need to prepare for the seder plate. I did make some edits after I photographed it, so you will see some differences, like a Guest List. To download it for free, just enter $0 into the price field. 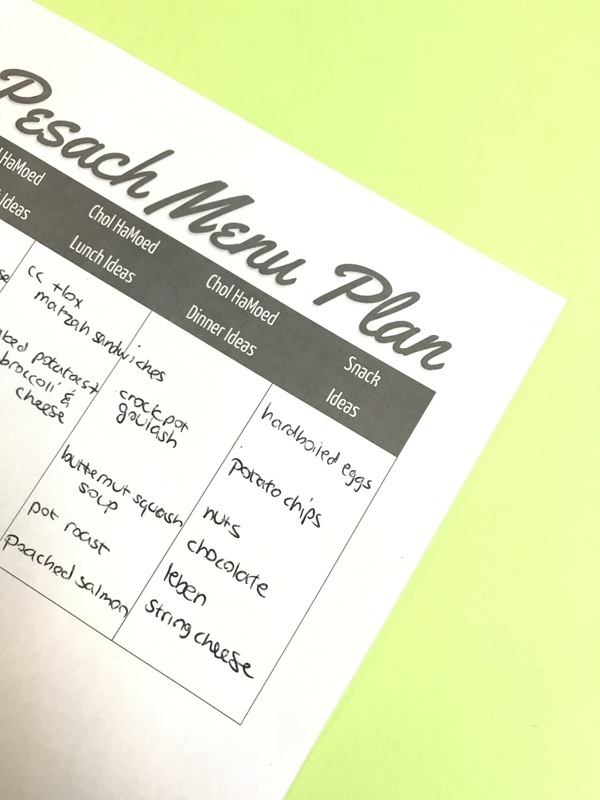 What delicious Passover foods will you include on this Pesach menu planner? We need inspiration! Comment below.